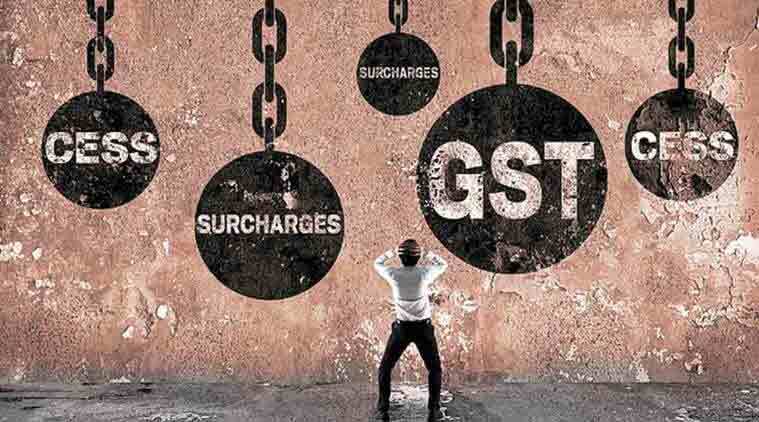 AS THE industry prepares for the rollout of the Goods and Services Tax (GST) from July 1, the enforcement of the crucial e-way bill mechanism is likely to be pushed back by at least six months. The delayed implementation of the e-way bill is being contemplated as the draft rules are still to be discussed in the GST Council and the requisite infrastructure is not in place yet, Goods and Services Tax Network (GSTN) chairman Navin Kumar told The Indian Express. The e-way bill has been proposed to track intra-state and inter-state movement of goods of value exceeding Rs 50,000, with tax officials having the powers to check the bill at any point during transit to check evasion. Until the new rules for the e-way bill come into force, possibly around December, the existing system of transit permits for inter-state transfer of goods will continue, said Kumar. “That (e-way bill) will take time. That will not happen on July 1. I think the earliest that it can happen is by December because the Council has not approved the rules yet. (When) the rules are there, only then we will start working on it,” said Kumar. “Today, under VAT, if goods are transported from one state to another, then what happens at the border — there are checkposts, there are people who see that… many states have started the system of what they call transit permit, so at the border you have to take a transit permit and when you exit the state, you have to show it at the exit point. So, whatever system is there, that will continue, until the new system comes,” he said. Under the draft e-way bill, which was placed in the public domain last month, every registered supplier will require a prior online registration on the GSTN portal for movement of goods valued at more than Rs 50,000. Under GST, the annual turnover threshold for registration is Rs 20 lakh (Rs 10 lakh for northeastern states). The GSTN is awaiting finalisation of e-way bill rules by the GST Council to proceed with the infrastructure related work, including selection of an IT partner. “We have to fix up some IT company to do that. We will give them the rules, the law, and then codes will be given. For that also infrastructure is required and that will have to be connected to our main system. Because whatever data goes there, that will get into the returns of the taxpayers who are selling those goods,” he said. The GSTN chairman said they are working on the proposal for appointing the IT company and as soon as the rules are finalised, they will start the selection process. “We are working on the proposal. We will float that. By the time people have to submit their bids, the rules should be there. We are keeping everything ready. As soon as rules are given to us, we will invite the applications,” he said. Since the draft e-way bill rules were made public last month, many industry representatives have aired their concerns saying that it is a cumbersome process involving many levels and is an aberration in the smooth movement of goods as envisaged in the indirect tax regime. The industry is of the view that unless the complete infrastructure system is in place for enactment of e-way bill, the rules should not be enforced. Also, the industry believes that the government should not define the timeline for movement of goods and it should be ideally left to the consignor and the consignee. As per the draft rules, the e-way bill, once generated, shall be valid for one, three, five, 10 or 15 days from the date of generation depending upon the distance for which the goods have to be transported — one day being for less than 100 km and 15 days for more than 1,000 km transit. “E-way bill, as has been introduced, needs significant IT enablement. Once the IT infrastructure is in place, the government should roll out the e-way bill, so that there is no disruption,” said M S Mani, senior director, Indirect Tax, Deloitte Haskins & Sells. As per draft rules, upon generation of the e-way bill on the GSTN portal, a unique e-way bill number shall be made available to the supplier, the recipient and the transporter. The transporter or person in charge of conveyance will be required to carry the invoice or bill of supply or delivery challan, and a copy of the e-way bill or the e-way bill number, either physically or mapped to a Radio Frequency Identification Device embedded on the conveyance. The rules also empower designated tax officials to intercept any conveyance to verify the e-way bill or the e-way bill number in physical form for all inter-state and intra-state movement of goods along with physical verification of conveyance for suspected case of tax evasion. The e-way bill also brings in accountability for tax officials as a transporter may upload the information on the GSTN portal if his vehicle has been intercepted and detained for more than 30 minutes.